Fun, safe sculpturing for all ages. Lightweight, soft, air-dries in 24 hours (no baking). Carve, sand, or paint with tempera, watercolor, acrylic, enamel, or markers. It's non-greasy, and it doesn't flake or crumble. Contains 1 oz packages of Model Magic. 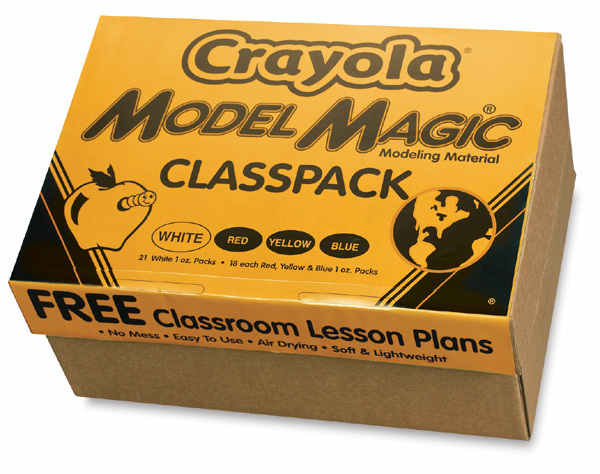 The Classpack includes 21 packages of White, and 18 packages each of Blue, Red, and Yellow. 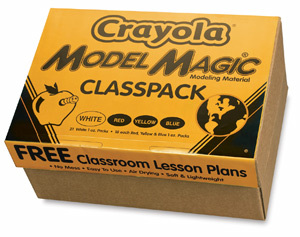 ® Crayola is a registered trademark.® Model Magic and Classpack are registered trademarks.